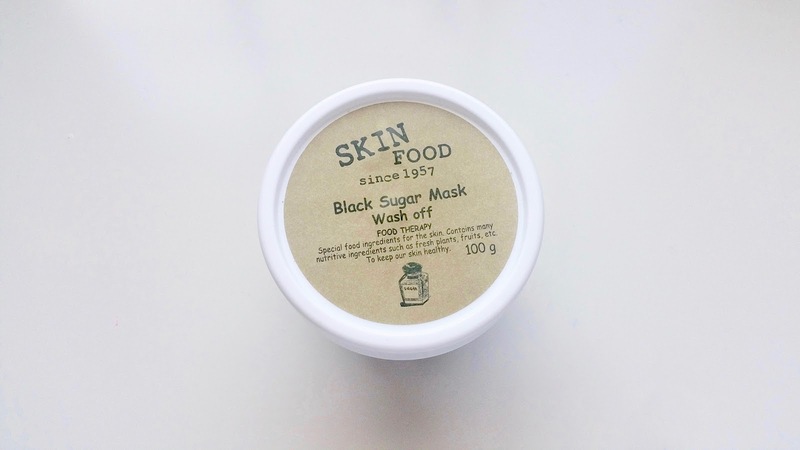 SKINFOOD’ s Black Sugar Cleansing skin care line is an exfoliating and moisturizing cleansing line with organic black sugar. 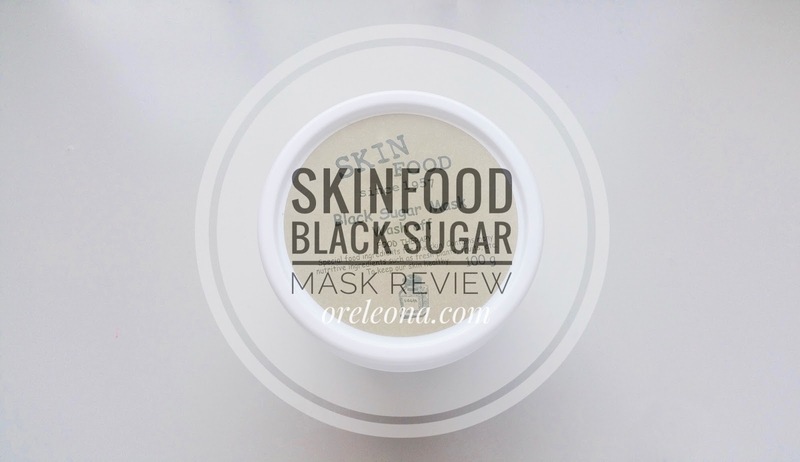 Black sugar is enriched with vitamins and minerals to hydrate and nourish skin. Dead skin cells are scrubbed away, leaving skin soft and glowing. The black sugar sourced by SKINFOOD is not actually black, but a dark brown sugar. The brown color derives from the amount of molasses, a syrup separated out from sugar after the refining process. While most commercial brown sugar is just refined white sugar coated with molasses, black sugar is unrefined, leaving behind more of the natural benefits. Enriched with vitamins and minerals and organically farmed without pesticides, it’ s sweet to the taste and to the touch! Sugar is a natural exfoliant. With its grainy texture, it’ s the perfect ingredient to heighten the scrubbing action that removes dead skin cells, which can clog pores and make your complexion look dull. 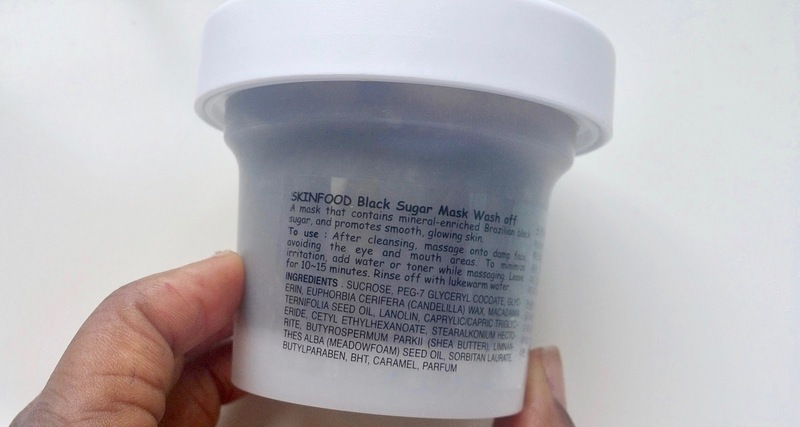 Black sugar would be considered a physical type of exfoliation. Also known as manual or mechanical exfoliation, it relies on a rubbing action (aka friction) and physical contact with a substrate to loosen and remove dead skin cells. 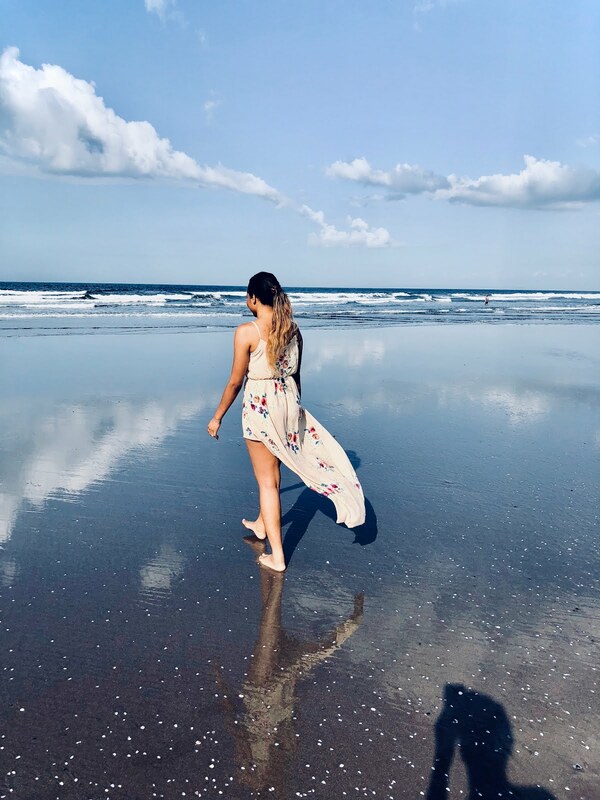 On the other hand (pun intended), chemical exfoliants, including acids, retinol, and enzymes, can be harsher on the skin, stripping it of its natural sebum or drying it out. 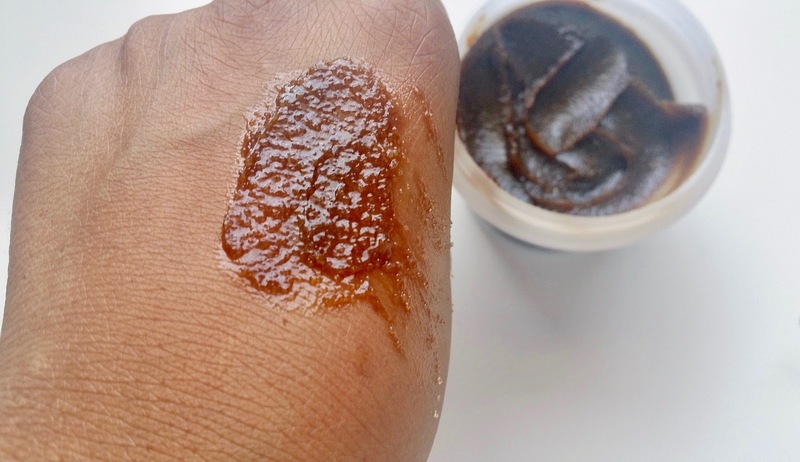 Sensitive skin types may find chemical exfoliants irritating, and prefer a milder exfoliant, such as our Black Sugar Mask Wash Off, which is gentle enough for many skin types. One of my favorite masks till date; the light vanilla smell is relaxing upon application. 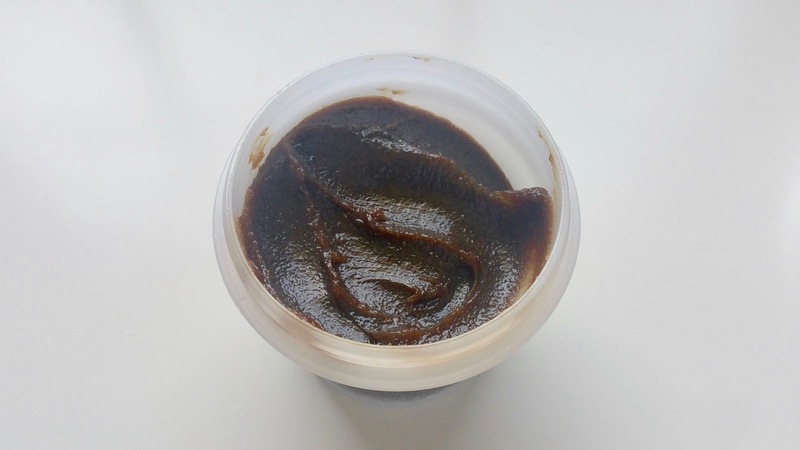 It is a gentle natural scrub that is good for all skin types, not too drying and not greasy for oily or combo skin. It leaves my skin soft and leaves me feeling relaxed after use. I have to stop myself from eating it because it smells SO amazing!! it really exfoliates gently and it is safe for those with sensitive skin. I usually buy my skinfood on Roseroseshop.com but I also noticed its sold at ULTA as well!